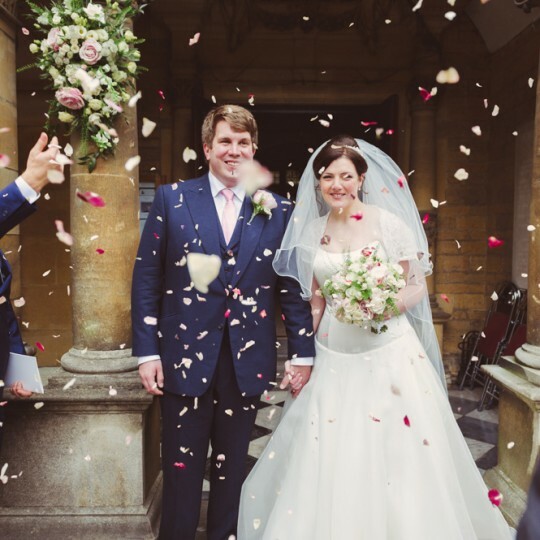 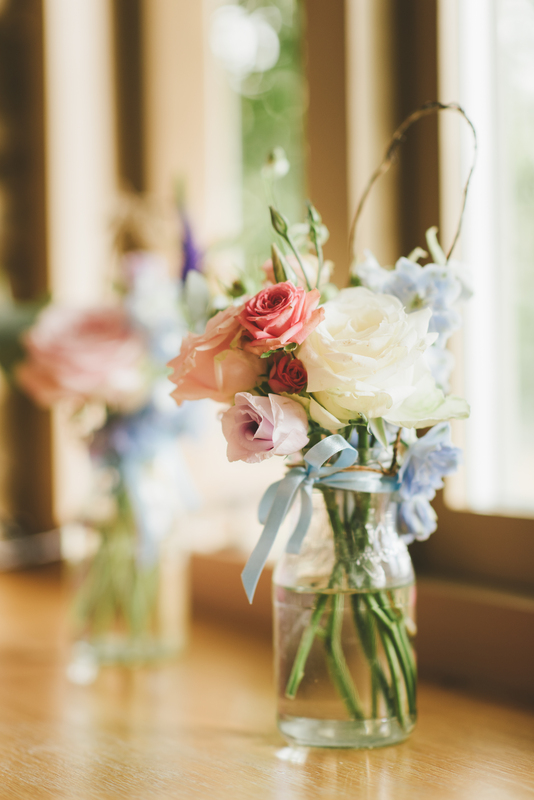 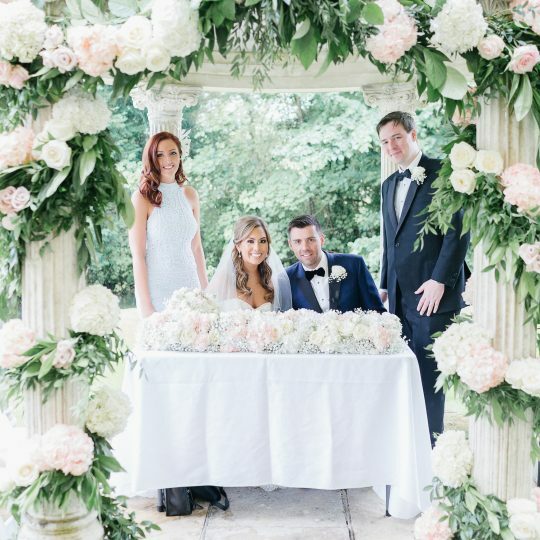 Lucy and Matt's pretty pink and blue Caswell House Wedding Flowers - Joanna Carter Wedding Flowers | Oxford, Oxfordshire, Berkshire, Buckinghamshire and London. 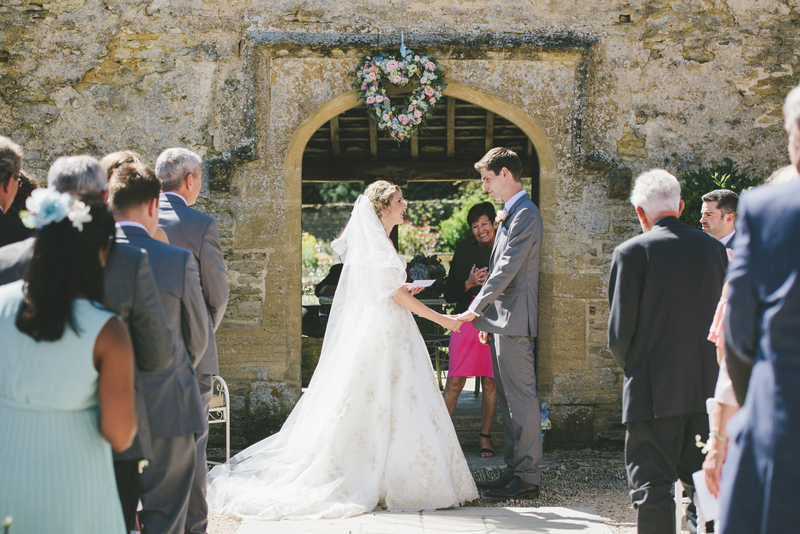 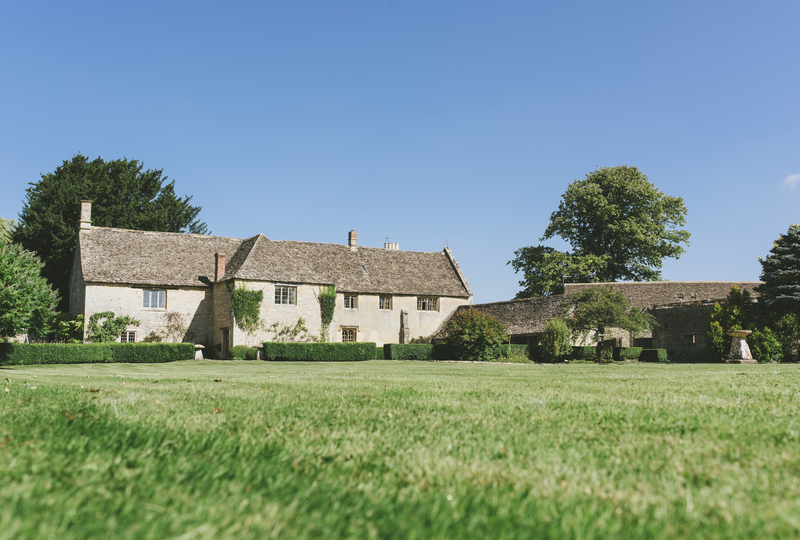 They were lucky enough to have beautiful sunny weather on their wedding day, so they got married in the beautiful grounds. 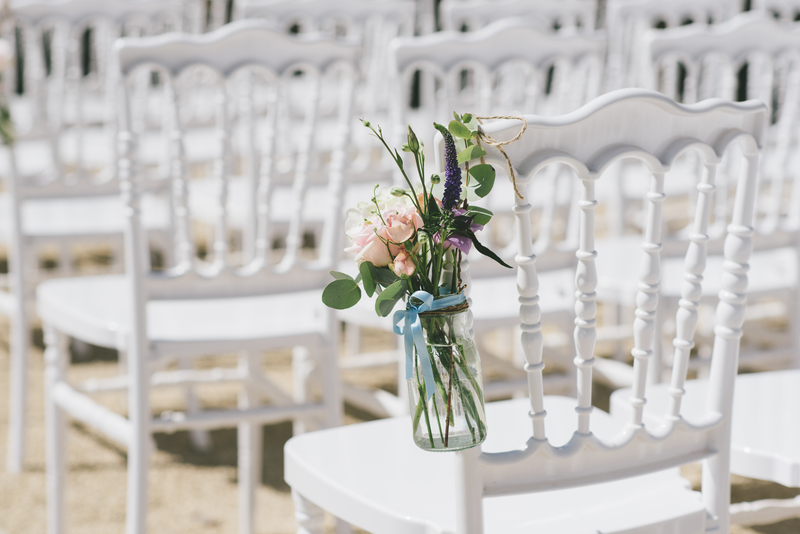 We hung wired jam jars on the aisle chairs and a lovely large heart arrangement above the ceremony area. 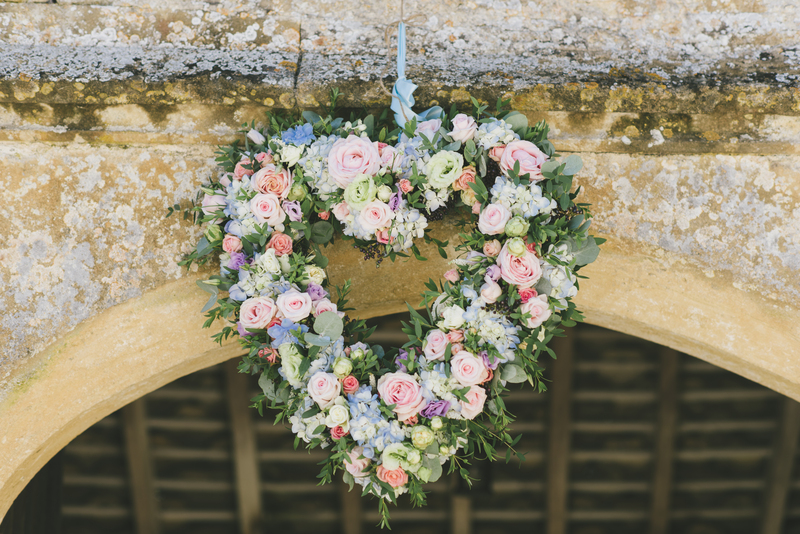 Later we moved the heart inside to the dining barn. 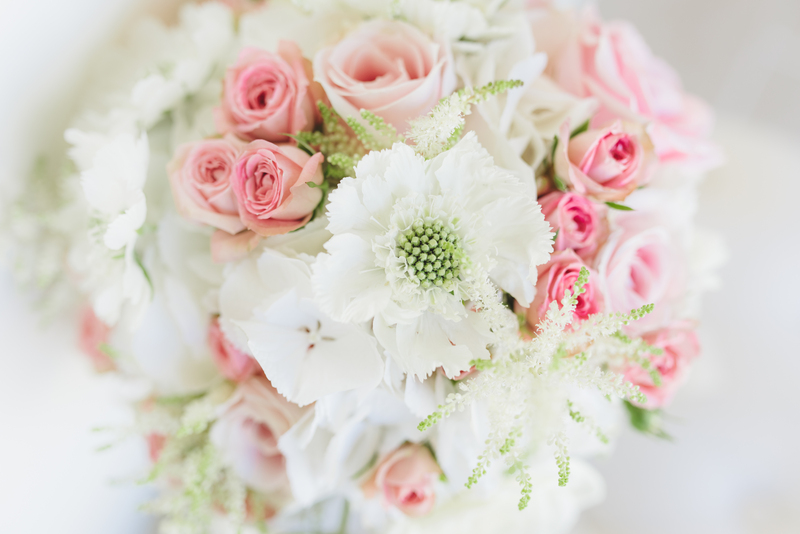 Lucy carried a stunning bouquet of white hydrangea, pale pink roses, ivory avalanche roses, raspberry spray roses and white scabious. 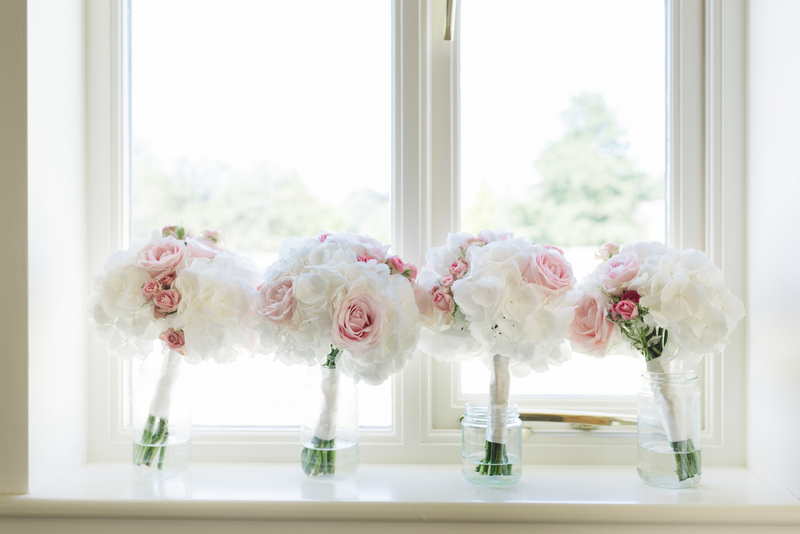 Her bridesmaids had lovely bouquets of white hydrangea and raspberry spray roses. 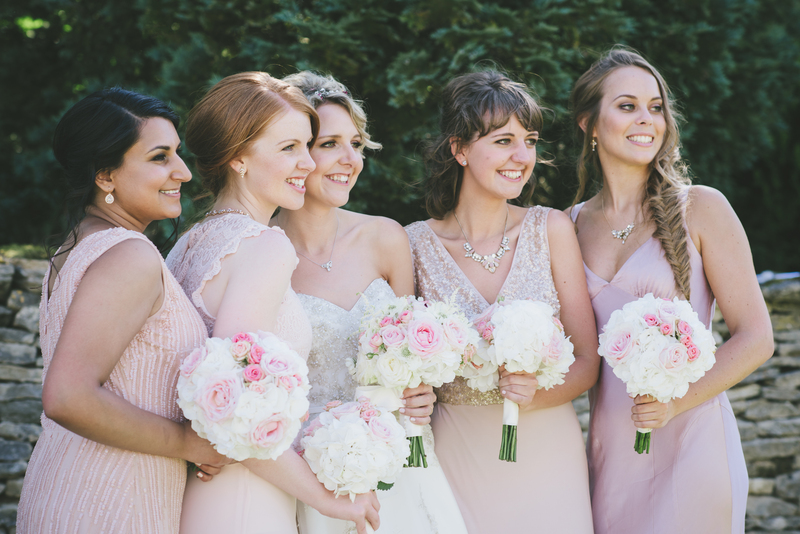 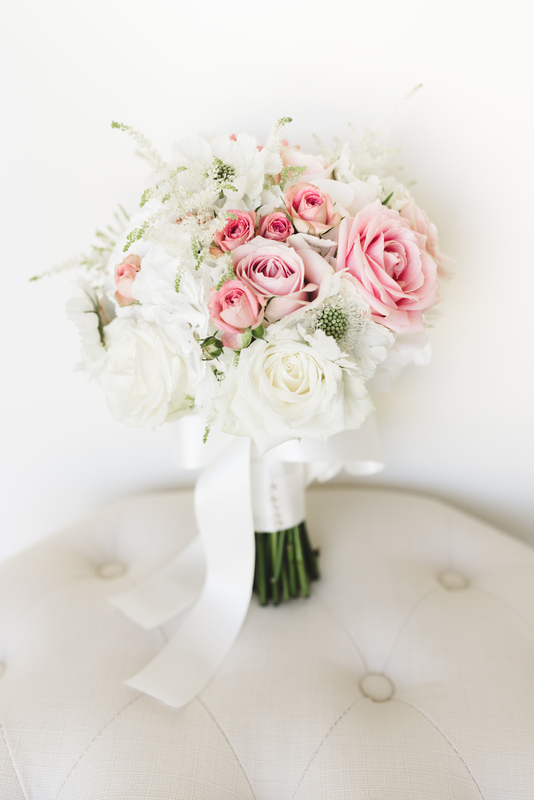 The bouquets toned brilliantly with the bridesmaids dresses which were mixed designs in blush pink shades. 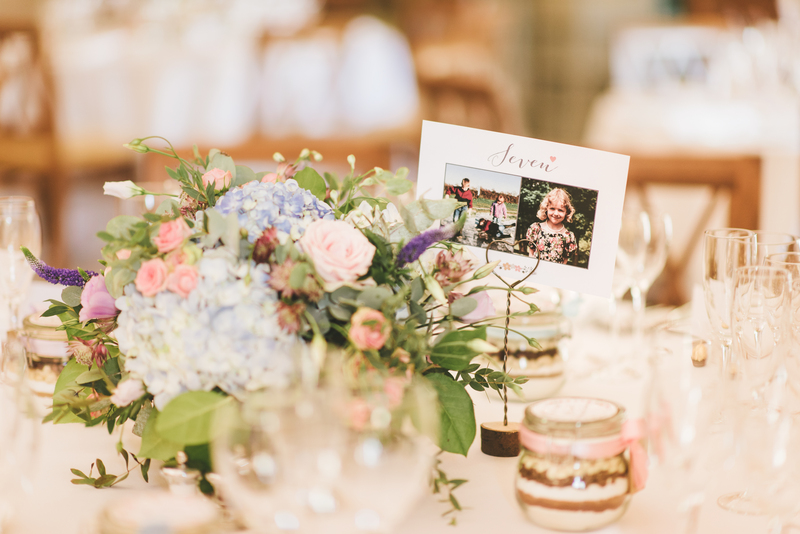 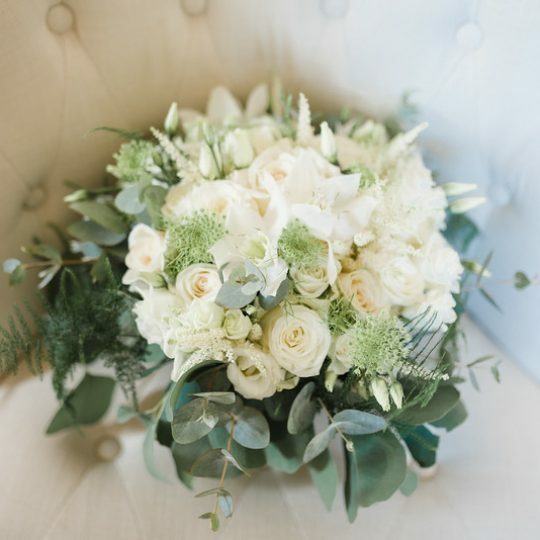 On the tables we placed mini vintage apple crates filled with mixed flowers in soft shades of blue, pink and ivory.